CELEBRATION, Fla., Jan. 4, 2016 — Disney Vacation Club, a leader in vacation ownership, celebrates its 25th Anniversary this year. 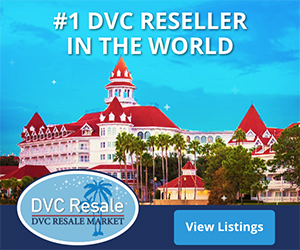 Since its debut in 1991, Disney Vacation club has offered a flexible, points-based vacation system rather than the traditional fixed-week timeshare model. Today, Disney Vacation Club has more than 200,000 member families, from all 50 states and approximately 100 countries, who have discovered the joys of membership. Members are able to choose from a variety of exciting vacation destinations, including a stay at any of the 13 Disney Vacation Club resorts or at thousands of other resort destinations around the world. Vacations at a Disney Vacation Club resort can last anywhere from one night to several weeks. When purchasing directly from Disney, members can also use their membership points to take trips on Disney Cruise Line or guided vacations with Adventures by Disney. In 2016, Disney Vacation Club will debut new special member events and offers at Disney theme parks and resorts as part of its anniversary, plus new exclusive membership enhancements that make vacation planning even easier. These new offerings complement an already exciting and extensive lineup of offerings for members called Membership Magic. For the 25th Anniversary, Disney Vacation Club is creating a new, exclusive Member Lounge at Epcot, opening Spring 2016. Included with paid admission to Epcot, this space gives members and their guests a place to relax, access device charging stations, enjoy complimentary refreshments and other offerings, and mingle with other members. To further celebrate this milestone anniversary, members will also be offered complimentary theme park and water park events throughout the year, discounts on multi-day theme park tickets at Walt Disney World Resort, quarterly giveaways, fun surprises throughout the year and new memorable experiences at Disneyland and Walt Disney World Resorts, at Aulani and onboard Disney Cruise Line. A new personalized Disney Vacation Club Membership Card will make it possible for members to enjoy all these new benefits, and recognition programs, such as special anniversary buttons, photos opportunities, unique merchandise and more, allowing members to display their pride. Disney Cast Members will also show their appreciation to members throughout the year, starting with the launch of new services to help simplify the vacation planning process for members. This includes a reimagined website, accessible on any device, that provides members with personalized vacation advice, as well as the brand-new “Last-Minute Magic” webpage designed to help members explore last-minute vacation possibilities at select Disney Vacation Club Resorts. Over the past 25 years, Disney Vacation Club has been a leader in the vacation ownership business. From opening its first property, Disney’s Old Key West Resort, to its 13th resort, Disney’s Polynesian Villas & Bungalows, which debuted in 2015, Disney Vacation Club continues to explore new ways to grow and evolve. Plans for a proposed 14th resort are already underway at Disney’s Wilderness Lodge at Walt Disney World Resort. Current plans call for the resort to feature deluxe accommodations, including cabins. More information and project details will be shared at a later date. Our goal at Disney Vacation Club has always been to create magical experiences for you and your families – experiences you simply can’t find anywhere else but Disney. As our Member community continues to grow, we want to make sure we can continue to deliver the Membership Extras that add value to your overall experience – offerings that are provided as a premium advantage to our Members who purchase directly from Disney Vacation Club. With that in mind, please be aware of a policy change regarding the availability of Membership Extras to our membership. As previously communicated (effective March 21, 2011), Getaways included within the Disney Collection (e.g., Disney Cruise Line and Adventures by Disney) and the Concierge Collection, which are now part of Membership Extras, have not been available for ownership interests not purchased directly from Disney Vacation Club. Now, effective April 4, 2016, Members who do not purchase their ownership interest directly from Disney Vacation Club will not have access to other Membership Extras, such as exclusive Member experiences and discounts. Please know that as a current Disney Vacation Club Member (regardless of when or where you bought your membership), your access to Disney Differences and these additional Membership Extras will not be affected by this policy change. For more details about our Membership Extras program, please refer to our Membership Extras Acknowledgment and Disclosure Statement available online at disneyvacationclub.com. We see this policy change as a very positive step to ensure that, going forward, our Members who purchase directly from Disney Vacation Club receive a premium advantage – in addition to all the magic that Disney has to offer. Speaking of membership advantages, you’ve probably heard about the exciting Membership Extras introduced as part of the Disney Vacation Club 25th Anniversary. With this celebration, we’ve created unprecedented and exclusive Disney experiences for you and your family. In fact, just weeks ago, nearly 16,000 of you were able to enjoy the Disney Vacation Club 25 and Beyond Bash at Magic Kingdom Park. Meanwhile, more than 10,000 Members have entered our Disney Vacation Club Silver Anniversary Sweepstakes, and thousands of you have booked the Member Cruise sailing from New York later this year. In the coming months we’ll be bringing you even more spectacular Membership Extras as part of the anniversary, from exclusive merchandise and one-of-a-kind events (including exciting plans for the West Coast) to an all-new Member Lounge opening later this spring in the Imagination! Pavilion at Epcot. And there’s so much more Disney Vacation Club fun on the horizon! Thank you, as always, for being part of the Disney Vacation Club family – a family we are proud to serve. We look forward to welcoming you home again soon! DVC publishes a new Membership Extras Acknowledgement and Disclosure Statement, which replaces the prior Member Benefits Guide. CELEBRATION, Fla., May. 19, 2016 — Today, Disney Vacation Club announced the name for its new development currently under construction at Disney’s Wilderness Lodge. The proposed 14th Disney Vacation Club Resort will be known as Copper Creek Villas & Cabins at Disney’s Wilderness Lodge. As part of this transition, the original Disney Vacation Club property at the resort – The Villas at Disney’s Wilderness Lodge – will be renamed Boulder Ridge Villas at Disney’s Wilderness Lodge. Both Copper Creek Villas & Cabins and Boulder Ridge Villas at Disney’s Wilderness Lodge will feature unique new details that further explore the rich storyline of Disney’s Wilderness Lodge. Disney Vacation Club is pleased to announce an enhanced name for The Villas at Disney’s Wilderness Lodge that deepens the Resort’s roots in Disney storytelling. Since welcoming its first Members home in 2000, this rustically elegant Disney Vacation Club Resort has celebrated the optimistic journey of Americans who rode the rails west to forge a new way of life. The villas draw inspiration from the quaint residential communities established by those pioneers along the tracks that enabled their mass migration. The Resort’s new name – Boulder Ridge Villas at Disney’s Wilderness Lodge – gives that rustic community a more distinctive identity and allows Walt Disney Imagineers to bring the community’s story to life in new ways, including through the re-imagined (and soon to be renamed) Hidden Springs Pool area. The new, more richly themed name also distinguishes the Resort’s condominium association from any proposed new Disney Vacation Club developments at Disney’s Wilderness Lodge. The naming evolution is not new to Disney Vacation Club. Disney’s Old Key West Resort, which opened in 1991 as Disney Vacation Club Resort, later adopted its more richly themed name as other Disney Vacation Club Resorts joined the neighborhood. Just as the Disney’s Old Key West Resort name distinguished the Resort from its neighbors and allowed Imagineers to more deeply explore the Resort’s thematic connections to the Florida Keys, the transition from The Villas at Disney’s Wilderness Lodge to Boulder Ridge Villas at Disney’s Wilderness Lodge allows Imagineers to further explore the Resort’s rugged roots. The Summer 2016 edition of Disney Files, a publication made available to Disney Vacation Club members, takes a look back at 25 years of “membership milestones.” The publication presents a membership milestone for each of the past 25 years. The 25th anniversary celebration continues. The new Member Lounge opens at Epcot. It is located on the second floor of the Imagination pavilion. It is open from 10 a.m. to 6 p.m. daily through the 25th anniversary celebration. The entrance is through the pavilion’s merchandise shop. 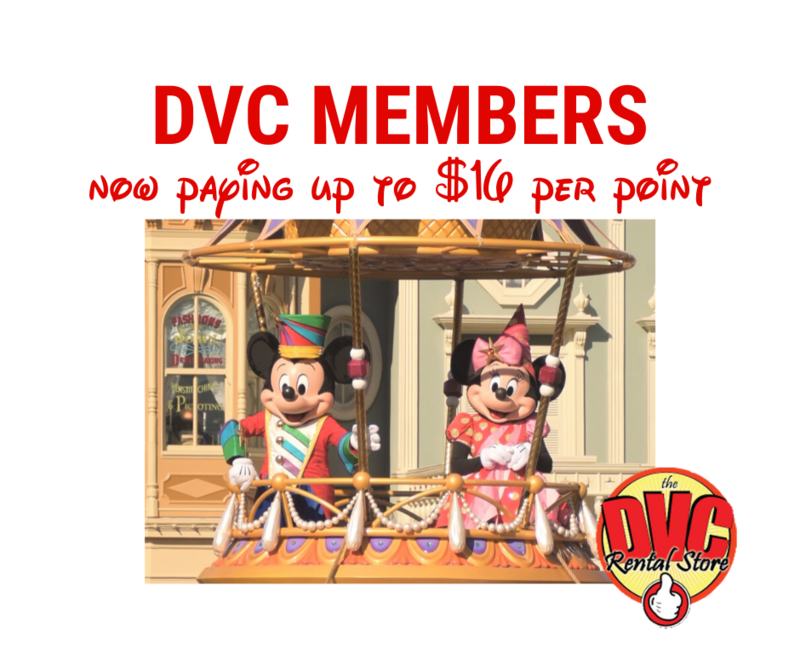 DVC Members will need their membership card as well as ID to enter. A Cast Member will be at the bottom of the stairs (there is also an elevator) to check in you and your party. There are long lines to get in on opening day. Rumors surface that Disney is planning on building a Disney Vacation Club resort at the Caribbean Beach Resort as the next DVC after the Copper Creek Cabins & Villas at Disney’s Wilderness Lodge. DVC selected the Wilderness Lodge expansion after the Polynesian Villas and Bungalows. Will the Caribbean Beach Resort be the next DVC? It appears very likely, based upon DVCinfo’s multiple reliable sources. Will this be the first DVC at a moderate resort? Perhaps. Or it may not be attached to the Caribbean Beach Resort, but be a standalone deluxe DVC resort. The old rumors about a DVC at the Caribbean Beach Resort had Disney tearing down some resort buildings, but the rumor states that Disney will use the small piece of land between the the Caribbean Beach Resort and the Pop Century Resort / Art of Animation Resort. Sources within Disney state categorically that this isn’t just a rumor, and that while plans are subject to change, this is really happening. Disney files a notice of commencement for a “model room” at “1948 Broadway, Bay Lake FL”, which just so happens to be the address of the Disney Vacation Club Preview Center. Sources reveal this is construction of the model room for the new Copper Creek Cabins & Villas at Disney’s Wilderness Lodge. Sources also reveal that this will likely be a 2-bedroom lock-off unit (1-bedroom plus adjoining studio). These are the units that will be in the conversion of the South Wing of the main Wilderness Lodge building – the wing currently undergoing conversion from hotel rooms to DVC.